Well, it's finally done! My starter lived for 5 days and managed to make a batch of real(ish) wild bread. So how did it turn out? And why is that ish on the end of real? So the bread came out very tasty. But to be honest, you would have a hard time finding a bread that I did not enjoy (for the record, I'm still looking for it). But back to this loaf. It had a slight tang, good crust, some nice bubbles inside and most of all, it had a week of my time! It also had.....commercial yeast. What??!!?! Why in the world would I go on and on about making my own yeast just to add commercial yeast in? 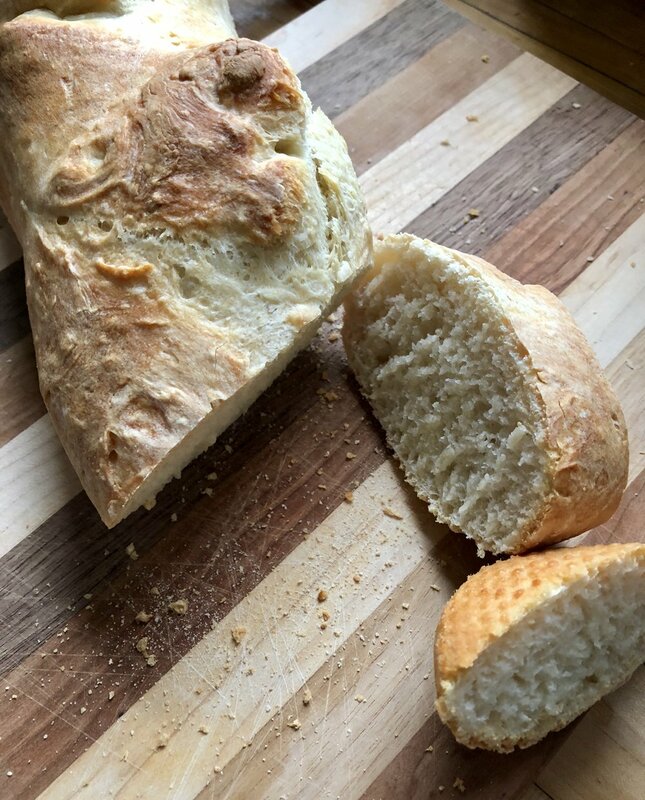 Simply put, this was my first time using wild yeast and I wanted to try a "safer" recipe before I fully got my wild bread on. This bread would not have been the same without my wild yeast, so having my young batch of starter gave it some height and that sourdough tang, but the bit of commercial yeast cut down on the time. Because the one thing I learned about fully wild yeast bread is that it is time consuming! Most recipes average 20-22 hours of rise time and that is with ideal conditions!